May was Mental Health Month and the University of Waterloo has invested time and effort to run special events, and programming promoting awareness to get a dialogue going within and beyond the school community. Initiated in the past 12 months, the University has pushed several initiatives towards raising awareness about mental health issues, as well as provide students with more resources for counselling, accommodations, and help on campus. Feridun Hamdullahpur, UW President, convened the PAC-SMH during the spring of 2017. The committee is collecting and reviewing data to investigate the roots of student anxiety, depression, and stress and provides insight on how the University can move forward with initiatives that will mitigate mental health issues proactively rather than reactively. PAC-SMH reached out to students, alumni, staff, faculty and the community on these issues. The PAC-SMH initiative was designed to examine the current status of student mental health on campus and explore ways to further support students who are struggling, increase awareness of mental health services and to help reduce societal stigma around the issue. Dr. John Hirdes, a professor at the University of Waterloo’s Faculty of Applied Health Sciences, is leading the review and implementation of these initiatives. He specializes in youth mental health. March 14 marked the PAC-SMH’s first year with an open forum. The following month saw the release of the committee’s Executive Summary and Recommendations. In total, the PAC-SMH had 36 recommendations covering the five key areas of campus policies and practices, inclusive and supportive campus culture, mental awareness and communication, prevention and early intervention and service access and delivery. Following the report, UW committed to investing $1.2 million towards increasing the number of mental health professionals on campus to assist students, bringing the number to over 70. In addition to the mental health and wellness professionals within the University, Campus Wellness provides a full list of available services in the Kitchener-Waterloo community and how students can access them. As UW is uniquely situated as a university with an extensive co-op program with a significant portion of students often living away on their work terms, there is concern regarding how the school can provide resources and accommodate their mental health needs. “There are a number of supports and processes in place to assist students who are on co-op,” according to Grant. “Co-op advisors, located across the country, connect with students during their term by email and in person. To aid in this relationship, students maintain the same advisor through their time at Waterloo. Most of these advisors are certified in Mental Health First Aid Training,” Grant said. “The Centre for Career Action offers students help and guidance on a variety of issues while they are not on campus through phone, Skype as well as in person as students require,” Grant said. 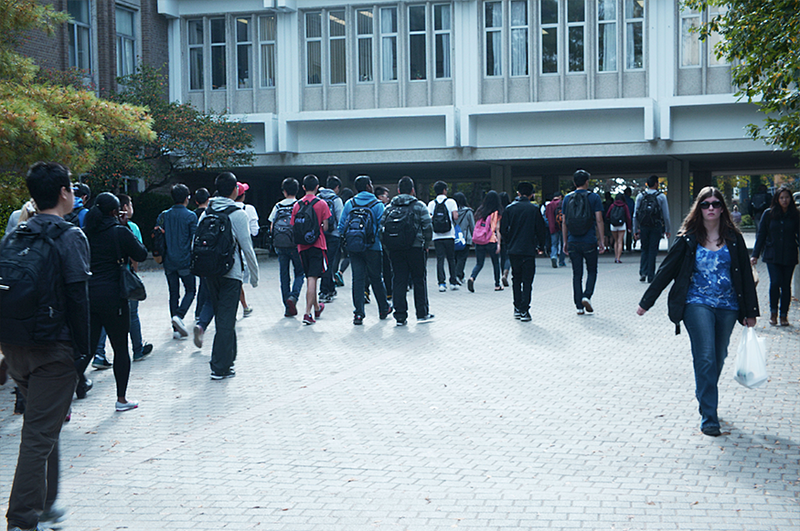 Students and other members of the UW community have expressed concern that initiatives toward mental health are a temporary fix and will not address them in the long term. In response, the University emphasizes that its mental health initiatives will be proactive, to create a campus culture that acknowledges that students do struggle with mental health, that they are not alone, and there are resources and services in place that can help them. The University will continue to increase education around mental health and available services as well supporting actions that reduce mental health stigma in all its forms. “The overall vision of our campus is to continue to foster an environment where individuals who may be struggling with mental health challenges feel comfortable,” Grant said. Do you have a moment to talk about Cheeses (Murphy)?